Students at Training Plus Merseyside will now have access to one of the fastest connections in the region thanks to a unique partnership. Training Plus Merseyside (TPM) and Baltic Broadband with IX Liverpool have worked together in partnership to install a 1Gbps Internet connection into the TPM premises on Lime Street. Businesses in the city region have long complained about the relatively slow broadband speeds compared to other parts of the UK and this new development puts Liverpool on an equal footing with London, Leeds and Manchester. Training Plus Merseyside is a vibrant, specialist vocational training company in Liverpool city centre offering Apprenticeships, Traineeships and a range of NVQ and professional CPD courses. They help individuals and businesses develop through top quality training and support. Baltic Broadband is a business Internet Service Provider based in Liverpool whose aim it is to bring low cost high quality Internet connections to businesses in the region. 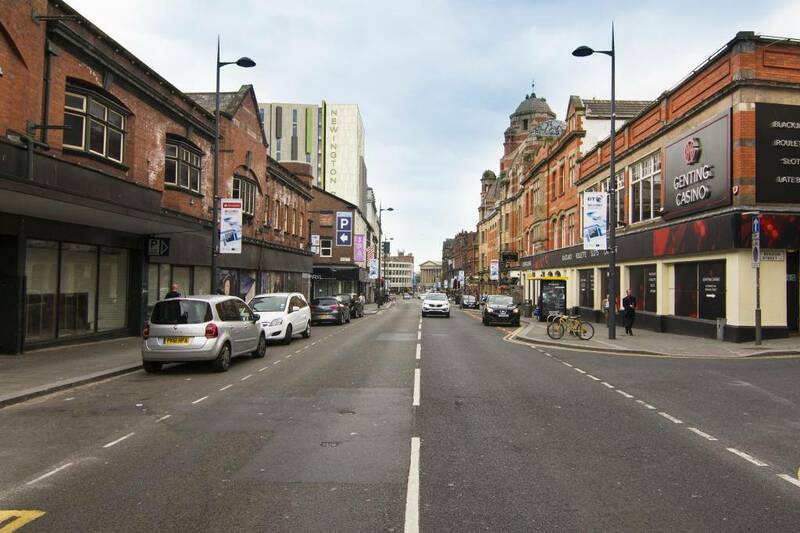 It has brought 10Gbps internet connections to entire areas of Liverpool (for example the Baltic Triangle & The Fabric District) and now the Lime Street/Renshaw street area where TPM are located, helping to transform entire communities with internet connections that ultimately will help the economic redevelopment of the region. ”We’ve struggled for over a decade with high cost and low speed Internet connections that have delivered disappointing results and that led us to require multiple broadband accounts to try and meet demand. Baltic Broadband have changed all of that with their new and groundbreaking connectivity in the Lime Street area. Having access to a 1Gbps broadband service is going to make a significant impact, both to our business and the wider community. As we lead the way in skills and support, we need access to a high speed & low latency internet connection so that our learners can complete online coursework, sit exams and conduct research, much of which we’ve previously struggled with for many years. Also, the faster speed that we can now receive has also meant that we can have a Voice over IP (VoIP) phone system installed, enabling our business to benefit from cheaper calls and a system that offers additional functionality around mobile, remote working and staff training. The huge increase in speed and performance and the money saved as result will be reinvested and not only contribute towards our expansion, but back into the delivery of learning and employment opportunities for our learners”. The online environment is already central to the learning experience. Mirroring industry trends and contemporary working environments, our courses and training programmes rely significantly on the internet both for delivery of skills training and for communications . Online portfolios are an important tool for our learners who via the internet, regularly submit photographs and other evidence of their skills in practice in the workplace. It’s critical to our continued success that this virtual online training environment is continually enhanced and improved. Baltic Broadband are also currently in the process of expanding coverage to the Ten Streets/Vauxhall, The Wirral and surrounding areas so that other businesses can also access Ultra-fast speeds from just £50 per month, which is forecast for completion in November 2018 with the Wirral forecast for completion in October 2018. Plans are now underway for enabling other areas outside of the City including Sefton, Bootle, Everton and parts of South Liverpool. Training plus Merseyside will also have a range of other technical benefits as additional connections will be installed directly from their training premises and into Cloud Services, Educational Resources and optimised connections to learning platform and systems, ultimately enhancing the overall experience as well as promoting deeper engagement for the learner so they can better reach desired learning outcomes. More and more Businesses are building or moving their I.T infrastructure in the Cloud to lower operational costs, improve performance, enhance scalability, and security but access to such benefits is very much dependant on fast reliable and scalable internet connections. Without a local Internet Exchange (like London, Leeds, Cardiff and Manchester have) ISPs and content providers typically have slower, more limited connections to end users than to the rest of the country, resulting in poor broadband speeds that will ultimately grind the local digital economy to a halt and disadvantage business and domestic customers when they require fast and reliable connectivity to digital services. Gigabit internet is the next generation of broadband internet service which is typically delivered over fiber optic lines and provides speeds of 1,000Mbps, which is also referred to as “1 Gbps” or “Gigabit” internet. Training Plus Merseyside help young people and businesses develop through top quality training and support. To date over 1000 apprentices have qualified through TPM and over 1000 business have used TPM’s recruit and training services. Baltic Broadband is increasingly adding multiple high speed infrastructure connections around the Liverpool city region by building out a world-class infrastructure so that it can rival other UK cities in terms of connectivity. It has a target of delivering 100Gbps (10,0000 MegaBits) of internet within the region before 2020 and has a vision to cover 100% of the Liverpool City Region by this same time frame. IX Liverpool was established in 2016 as a not for profit company limited by guarantee and is directly connected to the London Internet Exchange which helps bring better connectivity to the region and are supported by Liverpool City Council to build the Internet in the city region instead of “importing it from other cities” as we have done in the past. Contact details: matt.wilson@ixliverpool.net or 07971 403 502.